A tiny self-portrait (less than an inch tall) of the artist as a child, which appeared on a CV I drew in the early 1990s next to my O-level results. Blown up large like this — mainly because of the subject matter rather than the execution — it’s strongly reminiscent of Ronald Searl’s fabulous illustrations in the Molesworth books, although that wasn’t the model. 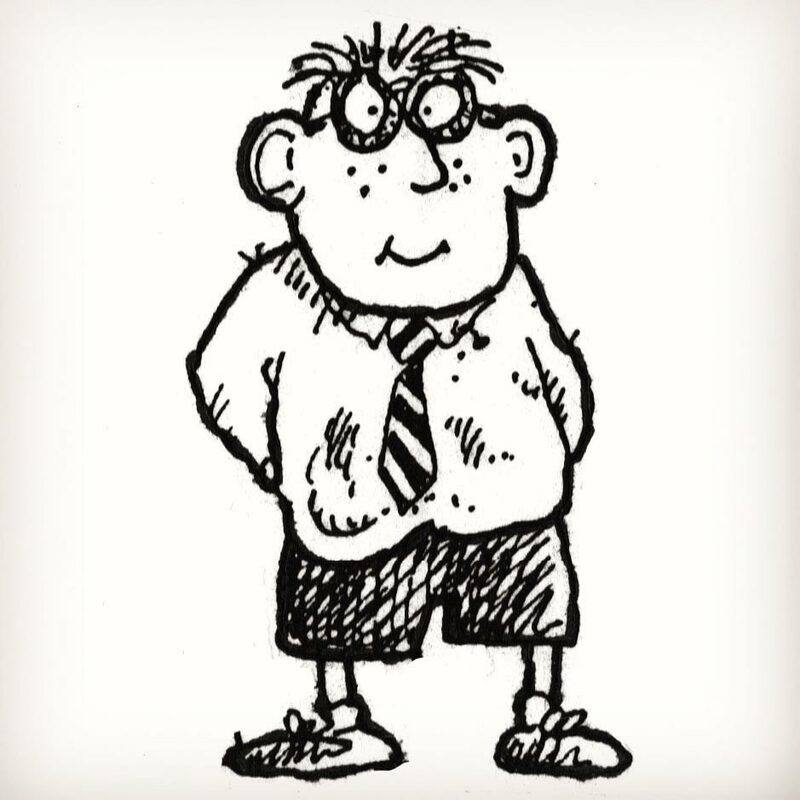 I really did look a bit like this when I was little at junior school, except NHS lenses weren’t round, and I was in long trousers at the Comprehensive by the time I took those O-levels. I got a B in Art.